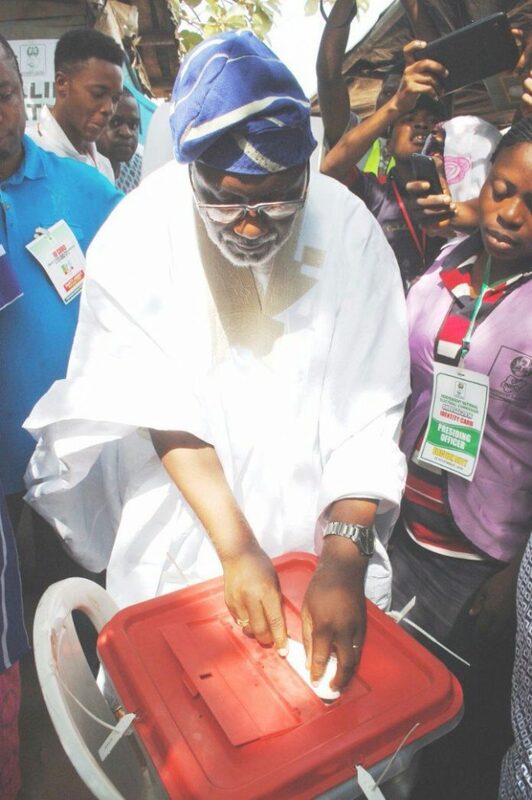 The Director-General of Rotimi Akeredolu Campaign Organisation, Mr. Victor Olabimtan was allegedly caught by some security operatives with 15 Ghana Must Go bags containing thumb-printed ballot papers. The former speaker of the state House of Assembly was said to have been arrested on Akungba-Supare Akoko road in Akoko South-West Local Government Area of Ondo State while the election was ongoing. However, Olabimtan, who spoke with our correspondent in his hometown denied the report saying the report was not true. He however expressed satisfaction to the turnout of the people for the election.